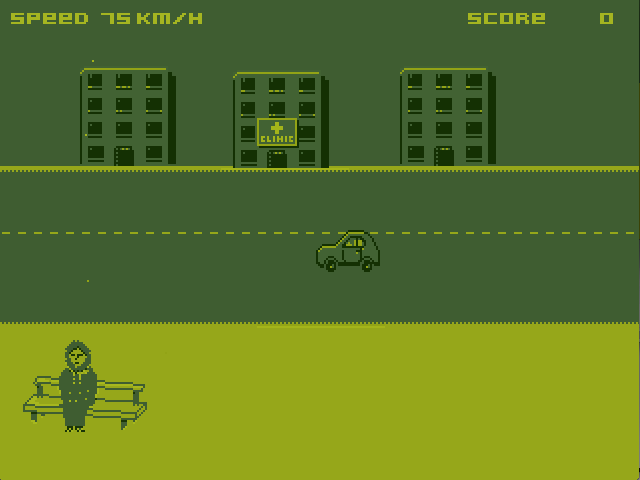 A racing game where you use the coldest hobo, and there's no way to finish the game. You are Don The Social Worker - drive through the city and save the hobos from freezing. You get points for the most frozen hobos, and driving them to the homeless shelter or clinic. We (a team of two) started making a Strategy/RPG game on another idea as the jam started. It was a cool idea based around hedgehogs and meditation, but five days into it, we realised that it wouldn't be ready in time. We might do that one later.. Anyway, I decided to make a quicker project by myself, featuring some Coder Art(TM). So this one took four days to make. It's *very* buggy as I kind of ran out of steam at the end.. 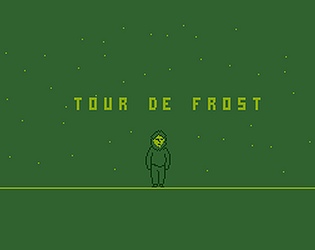 But the "interesting" idea and the fun I had pixeling the graphics kept me going. Thanks a lot for trying it out! @Stuck East: No, there's no progression, but yeah, I did originally plan to get more in there - like the hobos would melt in your car and start talking, the car would freeze and would need some booze to get started or something.. Thanks! The art style is fantastic! I only played for a few minutes, so forgive me if this feature already exists, but I think a progression/upgrade mechanic would've been an awesome addition. Perhaps after reaching a certain score your car gets upgraded and you can carry more passengers. Anyway, great work! I had a lot of fun with it and didn't find any bugs like the description implies.